Pumps are a critical component to industrial plants, and when they fail your whole operation can come to a halt. 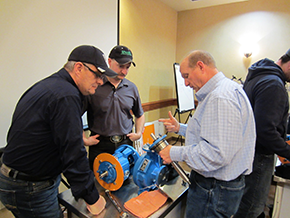 Why not learn more on how to properly maintain pumps to keep them up and running, minimizing your downtime. 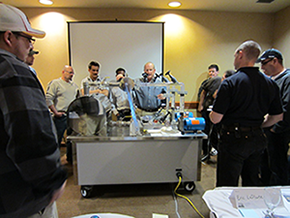 Meet with other industrial personnel from plants, as well as pump and seal experts. Lunch time round tables with the trainers provide a relaxed atmosphere to discuss further questions. 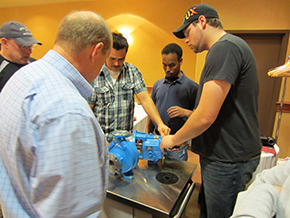 This three day workshop is designed for anyone responsible for maintaining centrifugal pumps and pump systems. Maintenance, Engineers and Operators are encouraged to attend. Learn how to become Proactive instead of Reactive!